Numeric has developed a low-cost, scalable model for the delivery of high impact after-school programs in low-income areas. We currently partner with 36 schools in Cape Town and Johannesburg with 85 active coaches and 2000 participating learners. Our after-school programs have two main beneficiaries – the learners themselves and the tremendous young people who staff our programs – our “coaches”. These coaches participate in an intensive teaching internship in our after-school programs. At Numeric we are passionate about training teachers. Because most teachers are trained by universities, we have partnered with universities to provide semester-long Khan Academy courses for their first year (typically bachelor of education) students. 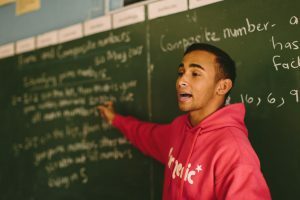 Using our experience in developing the curriculum for our after-school programs, training hundreds of pre-service maths teachers, and using Khan Academy both in teacher training and in the classroom, Numeric provides short courses for in-service teachers and other community organisations. From the early days of playing Maths24 and making number patterns out of the speedometer reading on his moms Opel Kadett, Andrew has been passionate about numbers. 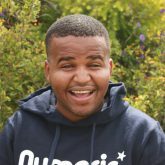 He founded Numeric in October 2011 when he set up his first Khan Academy pilot program in Makhaza, Khayelitsha. He spends most of his time thinking about how to make Khan Academy useful, accessible and relevant to South African learners. By taking over a class whenever a teacher was outside or absent, it was always clear that teaching was both a calling and a passion for Bernice. 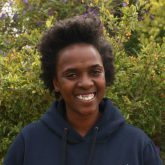 Growing up on the dusty streets of Soweto, Bernice always loved helping other learners with their school work, especially Mathematics. 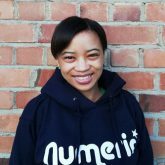 Her passion for helping others excel has driven Bernice to join the Numeric team and help set strong foundations in Mathematics to create opportunities for learners to realise their dreams. When going down the rides like the Tower of Terror at Gold Reef City, Emisang likes to calculate the average speeds and accelerations. In bus rides or long queues, he likes computing the average wait time or playing sudoku puzzles. But apart from being crazy about numbers, he is passionate about making a sustainable change where ever he is. Khan Academy has given him many "aha" moments, and he looks forward to sharing those moments far and wide! Enthusiasm and passion for education are what drive this dynamite-soul to get up in the morning and contribute to positive change. She aspires to be just that - to add value to the intellectual development of the next person. She believes sharing is caring and sharing knowledge will ultimately contribute to improving and uplifting communities and the economy as a whole. Outside the office, Gaynor finds pleasure in dancing crazily to her favourite music....behind closed doors of course! 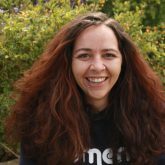 With over 8 years’ experience in administration, Jo brings her skills and knowledge in assisting the Numeric team with the “behind the scenes” tasks. She believes wholeheartedly in education, especially in the foundation phase and her favourite school subject was mathematics. Jo enjoys sewing, reading and making up random songs. With her big smile and make-the-circle-bigger attitude, Kristen will do almost anything to make learning fun! Singing out of tune, dancing slightly off beat, and stumbling over clicks while practicing Xhosa are just a few of the things she does to connect with learners. 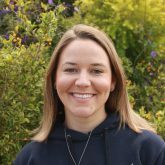 Although she loves teaching in the classroom, she now uses her passion for education to support and encourage our coaches. She is also fond of high-fives, hugs, and hand-written notes. Nasser is an enthusiastic and focused individual who is able to work effectively as a team member. He always displays a willingness to learn, is willing to try something new and will not hesitate to impart knowledge. 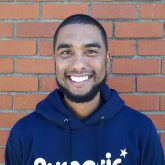 His experience working in a school environment has developed a passion for education and empowerment. In his free time, he finds solace in all sports and gardening. He enjoys reading biographies and places family as a priority. 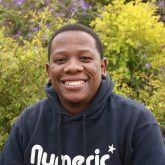 Nkosi believes that maths is not about computation, but rather about understanding. Having fun, being creative, and solving problems encourages the learning process. 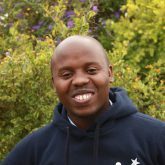 As a former maths teacher, he believes strongly that next generation should know mathematics for them to recognise opportunities. 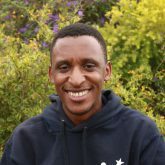 His passion for teaching started when he was tutoring first year maths students at University while he, himself, was studying his second year. Nkosi‘s favourite sport is soccer. Noxolo also known as "Nox" was born and raised in KwaZulu Natal. She describes herself as a fun, optimistic and kind individual. 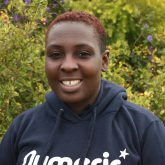 She is passionate about social justice, developing skills, advocating for children and education. She believes mathematics is fun, interactive and ultimately is the key to help uplift and eradicate poverty in underprivileged communities. Rugare is bubbly character who loves working with numbers. Her love for Maths was instilled by her Grade 3 teacher and she never turned back. 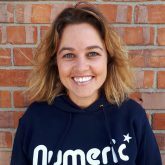 As a Teach SA Alumnus, she brings with her knowledge, experience and skills that make a meaningful contribution to Numeric's mission of creating high-impact learning environments in low income areas. She's a Maths 24 aficionado and spends most of her time explaining to Numeric directors how to solve the Level 3 cards! Sibonelo fell in love with mathematics in her grade 9 classroom, where she had heated debates with her father who was also her maths teacher. It was after this experience that she felt that every student should love and not fear mathematics. 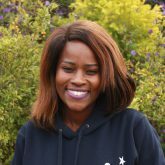 During her final year at university, Sibonelo started tutoring grade 12 students in Mathematics and Physics, and this is when she fell in love with working with young people. When not in the office, Sibonelo is probably climbing a mountain or having a long walk along the beach. She also enjoys arts and craft and is always starting craft projects. 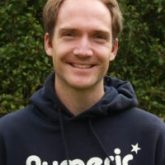 Having started tutoring mathematics at grade 9, Stephen loves numbers and looking for patterns to make maths fun. Stephen loves to be around children and he teaches them mathematics with a smile. He believes that every child has a right to have an excellent mathematics teacher. Being part of Numeric, he gets to see this becoming a reality. 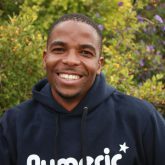 When he's not working, Stephen plays soccer, hikes with his niece and spends time with his baby boy Bantu. 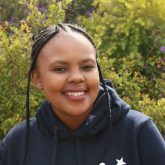 With an objective to produce a child who can view things in three-dimensions, who can solve real life problems and who can think critically, Tebogo developed a love and passion for maths and science education. His passion and dedication were demonstrated by him doing a career makeover to become a Maths teacher, his facilitation in Pioneer programme at Maths and Science Leadership Academy and him joining Numeric. Apply now to be a Numeric Coach in 2019!